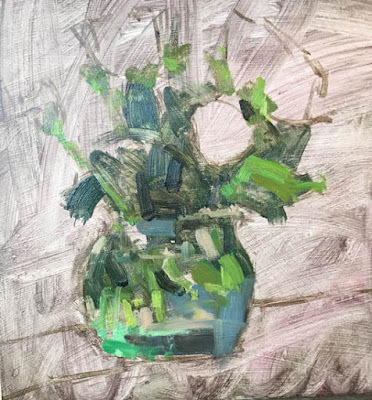 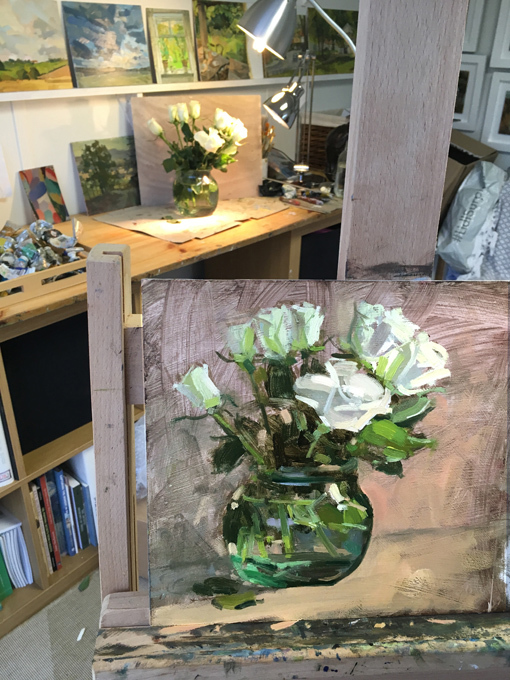 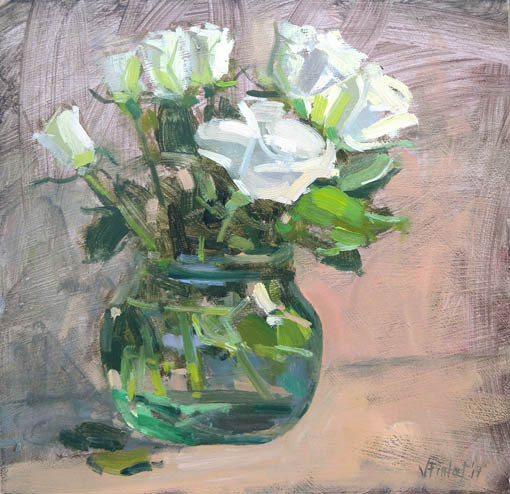 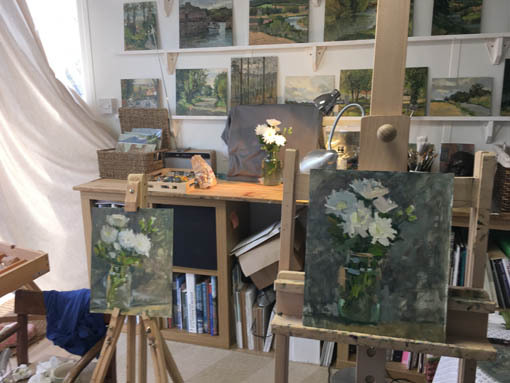 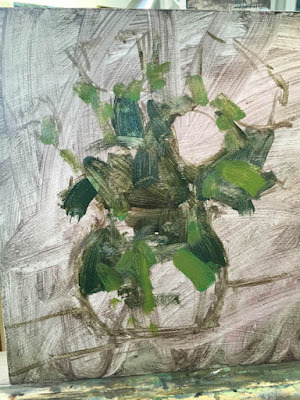 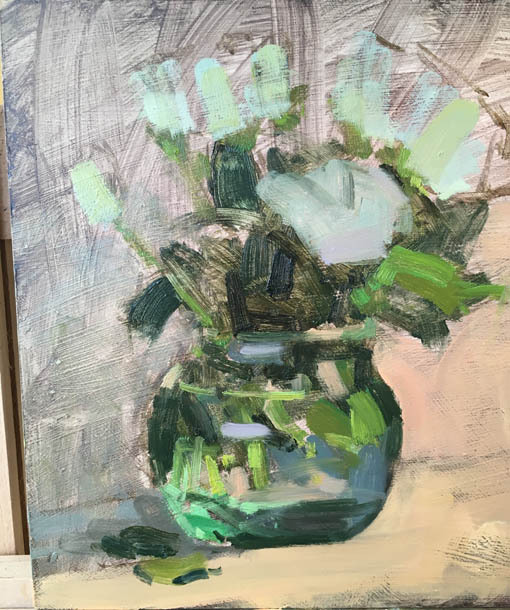 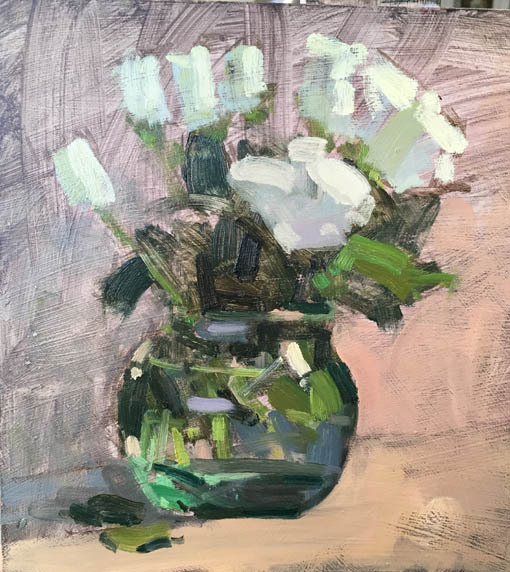 I have been painting flowers in the studio a lot recently, probably because it's the best thing after painting in plein air when the weather is a bit too cold or damp to venture outside. I tend to pick white flowers because they absorb and reflect so many colours, and I love trying to detect those subtle colour shifts. 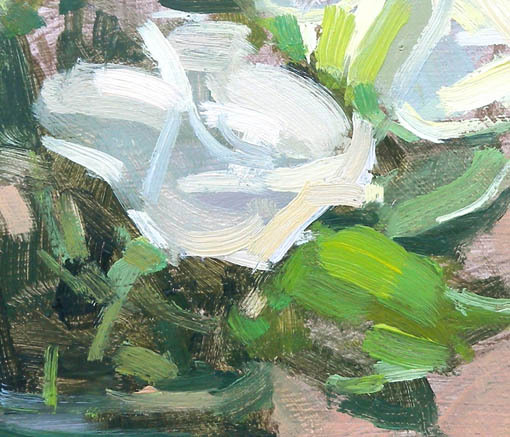 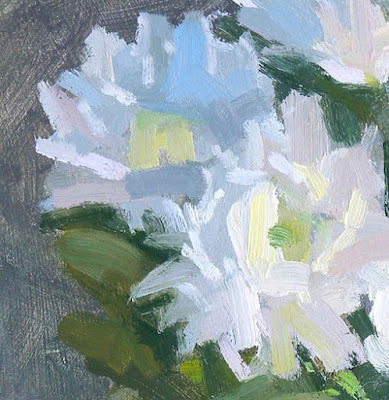 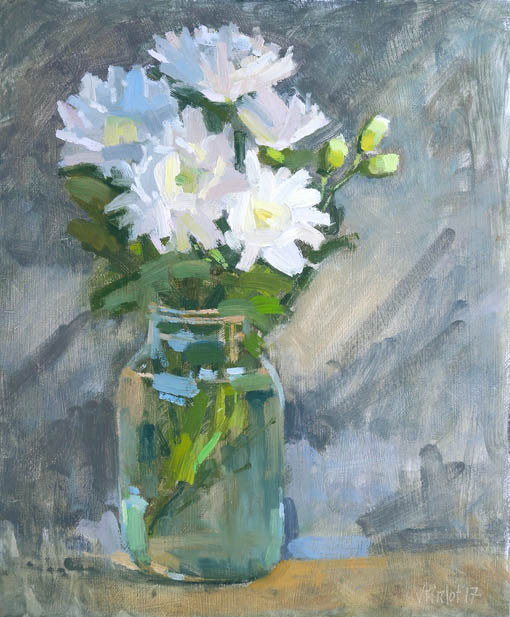 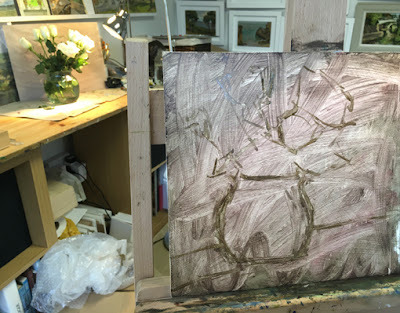 Below is a painting of white asters I produced during a tutorial with two lovely ladies in my studio a few weeks ago. I've been painting ranunculus last week so I'll be posting those soon. 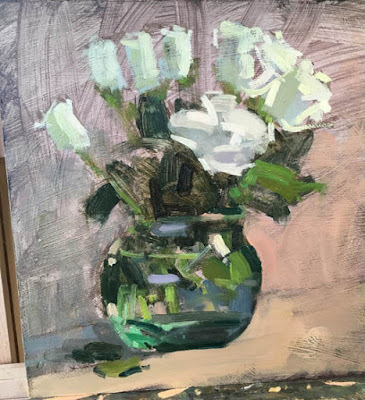 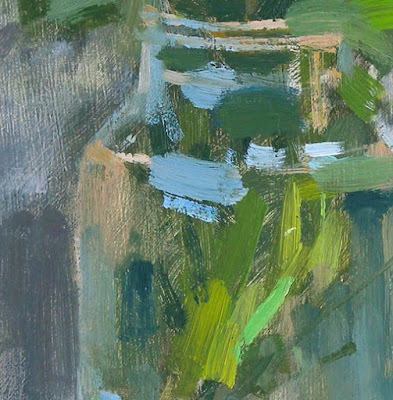 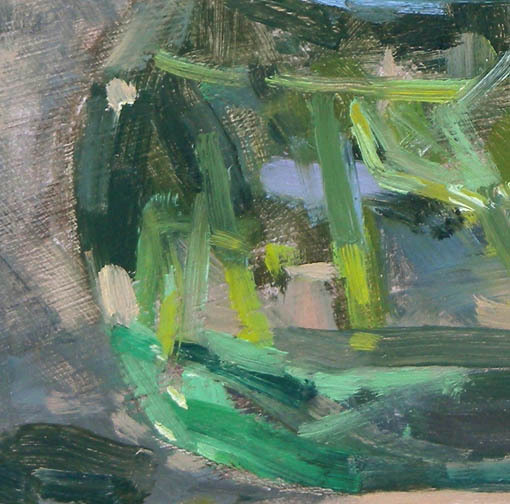 Remember you can sign up to my newsletter here to get monthly updates about shows and recent paintings. 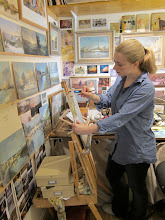 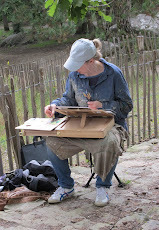 where I post all my recent paintings.